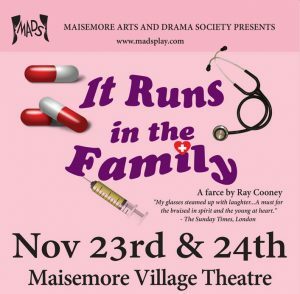 "On Friday and Saturday of last week, MADS, (Maisemore Arts & Drama Society), offered an evening to remember - a brilliant performance of the farce by Ray Cooney. 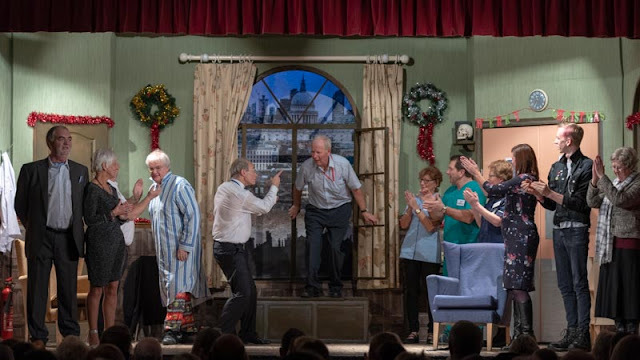 The production was a sell-out and those who came really enjoyed it, as well as the opportunity to meet others in the village. These opportunities do not arise often, so it seems good to join in when they do. I especially urge new residents to get to know our village by joining in our activities. Well done and thank you MADS." There are more pictres of the show on the MADS website - madsplay.com. The website also offers the opportunity to sign up for email updates - and MADS is always looking for new members with an interest in any aspect of the theatre.